Saturday 8th October will see the club close the 2016 season with the Club Presentation day. 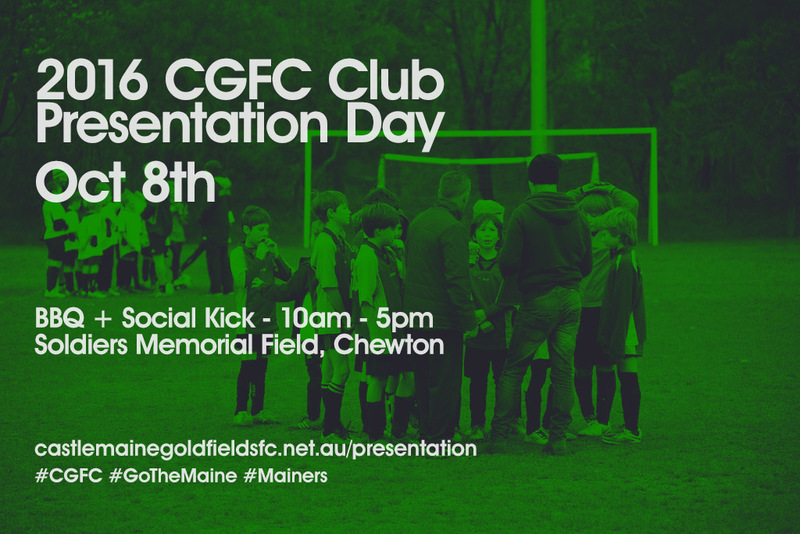 This season sees a return to all teams from U10s to Seniors receiving their presentation. The schedule for each group is below and with the BBQ going all day we encourage players, parents, carers, coaches and friends to come down and have a bit of a social kick with their group as we farewell the 2016 season. Fingers crossed for a nice sunny spring day, but don’t forget your sunscreen even if it’s not hot. Save the day on Facebook here. For other club news over the spring and summer, like our facebook page and keep and eye on the website. Thanks again from everyone at CGFC for making this an awesome season.